When I awoke on this longest day of the year and went to fix my morning tea, I caught a flash of orange out of the corner of my eye. Yesterday, this was only a bud. 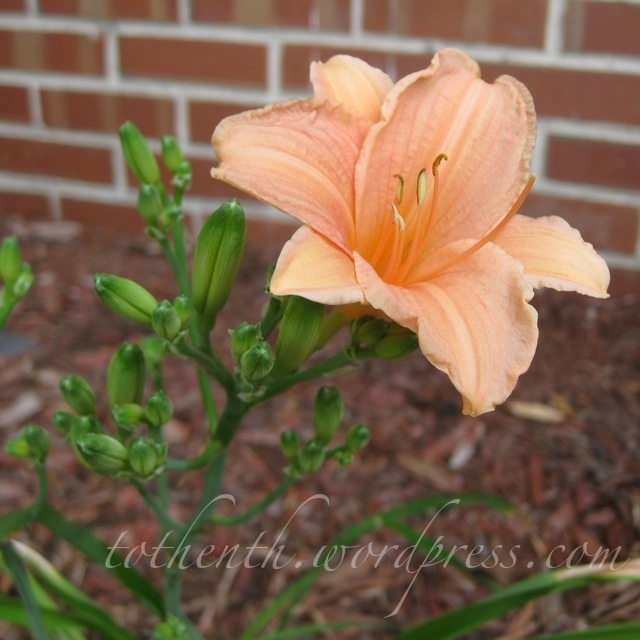 I find it fitting that my first daylily bud would burst into bloom to mark the beginning of summer. Its cheerful color mirrors my growing excitement: I can finally say that my husband will return home this season! How appropriate considering today is the first day of summer 🙂 Looks lovely! Thanks! Very appropriate, I thought. I’m excited to see when the other buds will burst open. I’m so happy your husband will be home soon : ) Happy Summer! Thank you! I’m pretty happy about it, m’self. 😉 Happy Summer to you, too!